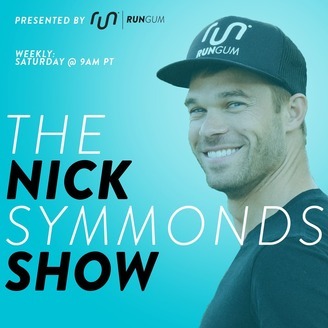 Run The Day with Nick Symmonds | Go Further. Accomplish More. Run The Day! If you want to learn how to maximize your performance in sport and life, the Run The Day Podcast will help. 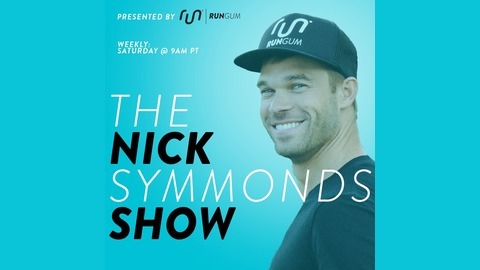 Listeners of the podcast love the energy and insight that 2x Olympian Nick Symmonds brings around the simple idea of maximizing your performance. Join Nick as he leads you through stories and interviews with world-class athletes, leading entrepreneurs, and industry experts. This podcast comes to you out of the Run Gum Headquarters in Eugene, Oregon. Through the simple process of chewing gum, Run Gum helps you feel alert, focused, and energized so that you can go further, accomplish more, and ultimately Run The Day! Subscribe to the Run The Day Podcast today. "I feel like I was given my gift to not only run with the best people but to give back." Ryan Hall is the American Record holder for the half marathon (59:43) and has the fastest marathon time ever run by an American, with a PR of 2:04:58. He represented the United States of America at the 2008 and 2012 Olympic Games in the marathon. Ryan grew up in Big Bear Lake in southern California, attended Stanford University, and is currently retired from professional running. Ryan is a coach and speaker and lives in Flagstaff, AZ with his wife Sara and their four adopted daughters from Ethiopia. Learn all about Ryan and what's next for him. Special thanks to Ryan Hall for joining me this week. Until next time!